bath, and the value of your home. 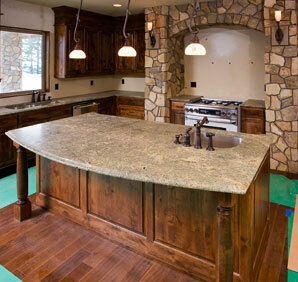 A granite countertop is both durable and beautiful. It can be used for bathtubs, fireplaces as well as other areas in the home or office. 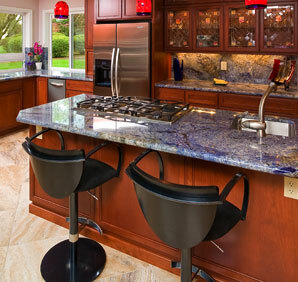 Granite is resistant to heat, strains and scratches, and is unique--no two pieces look the same. Granite appears to be a high-end item, often seen as a luxury item, in homes and businesses, but Milan Stoneworks serving the Portland metro area can make granite affordable. We help you fit your desired budget whatever your project. 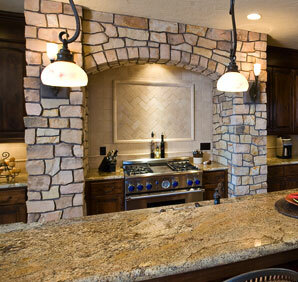 The Milan Stoneworks experience is based on premier stone products, quality craftsmanship, and friendly service. 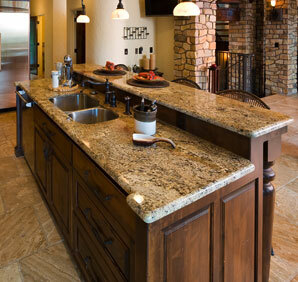 The Milan Stoneworks countertop showroom and store is locally owned and operated, and we take pride in providing all of our clients with only the finest commercial and residential fabrication & installation services. Staying true to our Northwest roots, we believe in using environmentally sustainable business practices, which includes a great selection of engineered stones for our customers. From start to finish, we deliver exceptional stone products that stand the test of time. Milan Stoneworks installs countertops in all Portland areas: Multnomah County, Clackamas County, Washington County, Clark County and cities from Woodland to Salem including Lake Oswego, West Linn, Tualatin, Beaverton, Happy Valley, Vancouver and Battleground. Your new countertop design awaits. Find us on Facebook, Google Plus, LinkedIn, Twitter, InfoFAQ, Revudio, YouTube, Yelp, Angies List, BBB, Birdeye, Oregon Live, Yahoo, Ask a Merchant, SuperPages, Insider Pages, Pinterest, Tumblr, Business Directory of Oregon, Mapquest, and More!